Here is this month’s round up of not-to-be-missed exhibitions to fill those remaining March weekends with inspiration. Step into the glorious Whitechapel Gallery this month and immerse yourself in the world of Hannah Höch: Dadaist, collage artist, rebel. This is the first major UK exhibition of the renowned German artist (1889-1978) who was a pivotal figure in the Berlin Dada movement. Enjoy more than 100 works that track Höch’s career from the 1910s to the 1970s. A witness to great social and political change, the exhibition covers a range of themes – finance, war, beauty, the body – delivered with wit, panache and verve. Höch, who was born in Gotha in Germany and studied at the Museum of Applied Arts in Berlin, is known for her collages, but this exhibition also features many of her other styles including photomontages, watercolours and woodcuts. Our picks include Hochfinanz (High Finance), Raumfahrt (Space Travel) and Um Einen Roten Mund (Around a Red Mouth) – but you’re bound to discover your own. Booking Recommend, and don’t forget Cass Art’s exclusive discount on Hannah Höch tickets this month. Read our interview with the show’s curator Daniel F Herrmann or visit the Whitechapel Gallery website for more information. Provocateur Georg Baselitz, regarded as one of the world's greatest living artists, is an abstract painter renowned for his splashes of colour, nihilism and angst. The Farewell Bill exhibition at Gagosian Gallery features 12 new Baselitz paintings. Importantly, they all encompass one theme: the artist himself. This series of self-portraits, an exploration of the painted subject, sees Baselitz staring back at you from the walls of the Gagosian. For an artist now well into his 70s, this is a vibrant, fresh exhibition that, for all its angriness, is curiously life-affirming. Make sure you see: Licht wil raum mecht hern (Lef el rial bel), mehr ich tut ach mer willn (Barle flel wil), Auch wirt lern helmt mich (Able fwill red). Nothing reflects British society more than its art. So an exciting new exhibition of emerging contemporary art opening at one of London's most prestigious galleries this week is expected to be an illuminating experience. The Saatchi Gallery in King's Road, Chelsea, opened its doors for New Order II: British Art Today in January. It is the second instalment in the gallery's new programme of showcases dedicated to the genre. A whole floor has been assigned to 13 exhibiting artists in the early stages of their careers, enabling visitors to discover some of most exciting up-and-coming creatives in the country today. Entry is free and the exhibition ends on March 23. Read about our top picks from the exhibition. 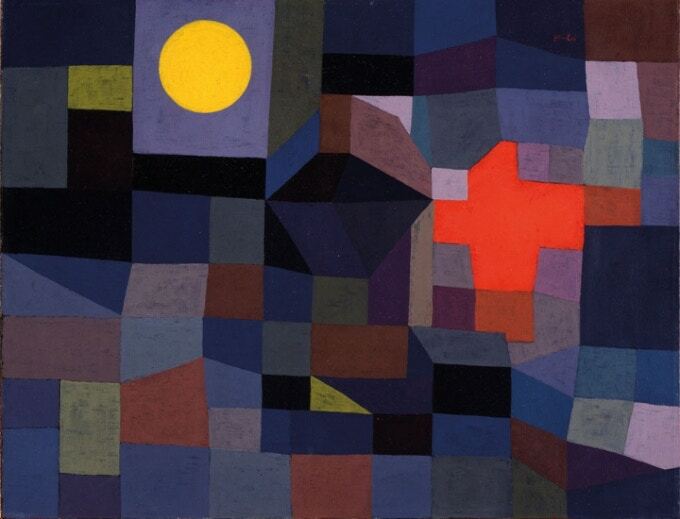 Creative, visionary, dazzling: words to sum up Paul Klee. Reminiscent of Wassily Kandinsky but completely original too, German artist Klee was a pioneering figure in European modernism. If you’re experiencing a creative block, go and see this exhibit. Klee (1879-1940) was a master of the playful, the inventive and the different. His works – which defy genre – are highly individual, quixotic and, well, extraordinary. The Making Visible exhibition at Tate Modern, which closes in just a few days – get your skates on – features paintings, watercolours and drawings charting Klee’s early work during the first world war to his astonishing creative output during his time spent teaching and working at the Bauhaus, the German modernist school. Our picks: Fire at Full Moon, Fire in the Evening, A Young Lady's Adventure.